anyone got the new wax out? Look forward to your thoughts and impressions please. I’m also tempted to try the Supergloss+ having been very impressed with the normal one. Did you get the 30% flash sale. not tried mine yet though but it does feel nice after a swipe test and smells good too! mine was one of the £10 ones too! The original is on sale for £15 for 200ml - is that a good buy?? I'm sure the old one was 5/6 months but this one has been improved. 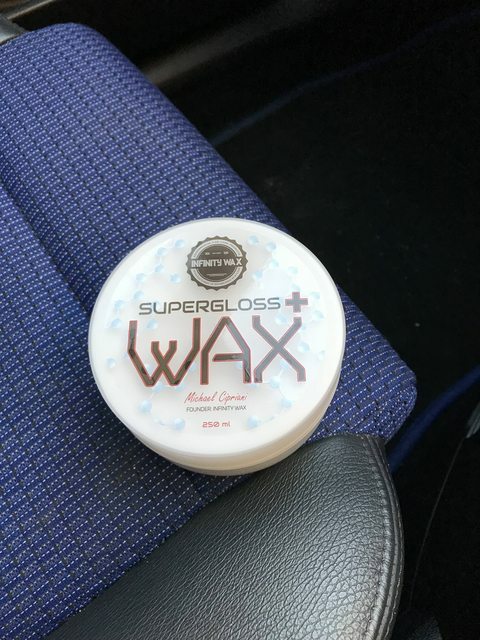 Tried my supergloss+ out for the first time on the weekend, extremely easy to apply and spreads for miles. I had issues upon removal, it was quite grabby but I think that was just down to me leaving it too long to cure. Scent is wham bar, smells nicer in use than just sniffing the pot and once buffed up the finish was very nice and glossy. Amazing water behaviour too. Also ordered another old supergloss for £15, couldn't resist at that price. ive seen people with issues removing the original as well, I've never had an issue with it despite curing times, I find the MF Towel used makes a big difference to removal! 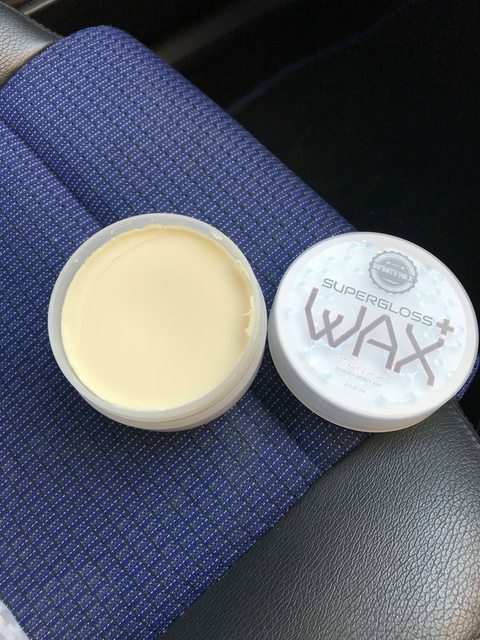 I'm pretty sure the new supergloss+ is to be wiped off quicker than the old one so you may be right, how is the beading from it? any pics? Yes I've seen the same regarding the original but like yourself it was nothing but a pleasure to use for me. When using the new one I applied to the whole car before removing so probably about 20 minutes and it was very grabby. I started with a plush Korean mf and then tried a short pile and it was still the same. Persevered with it though and came up great in the end. Water behaviour is extremely good and beading after rainfall is great, probably some of the best I've seen. Nice tall tight beading. Haven't got any pics yet, but will get some up as soon as I can.